Taylored Expressions February Sneak Peek Easter Doodles and Graphic Greetings Redeemer! Hello! It's Release Week at Taylored Expressions, and we are kicking it off with some fun sneak peeks! All of the fabulous new products that you see over the next few days will be available on Thursday~Yipee!!! Next up we have the awesome new Graphic Greetings Redeemer Set! I just love the powerful words on this stamp! I also used one of the new Elegant Butterfly Overlays~so GORGEOUS! 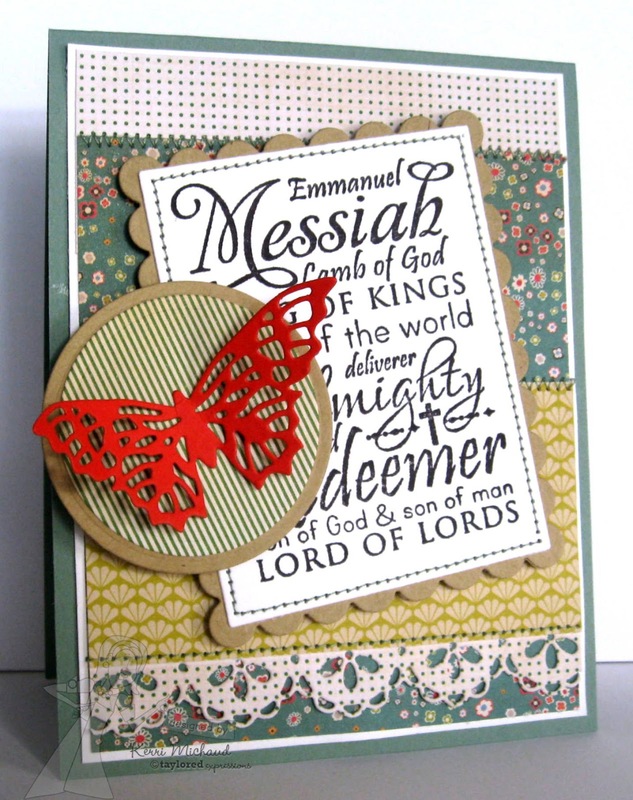 The dp is Crate Paper Acorn Avenue and I added a pretty border using the Lace Chain Border Die. Wonderful, Kerri! 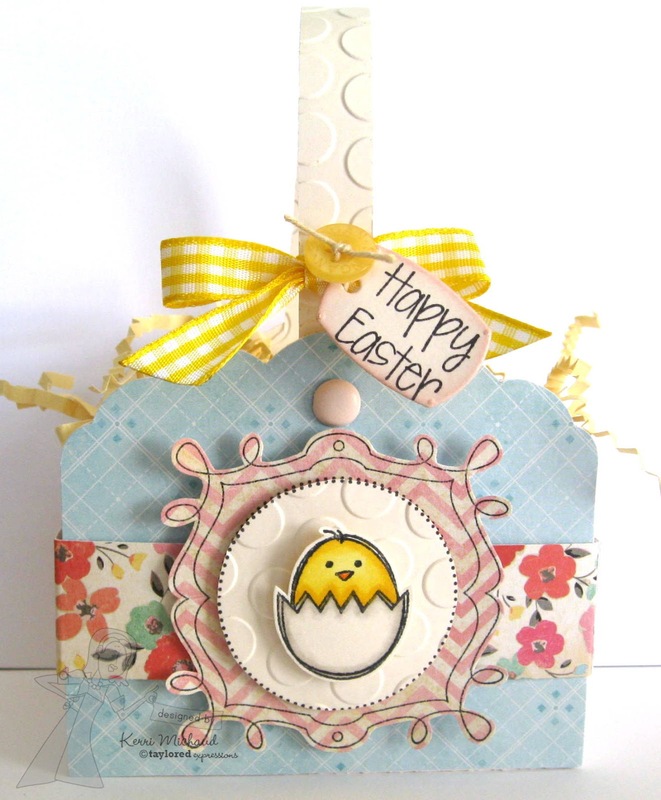 Love the super cute Easter basket and your card really pops with the gorgeous butterfly! 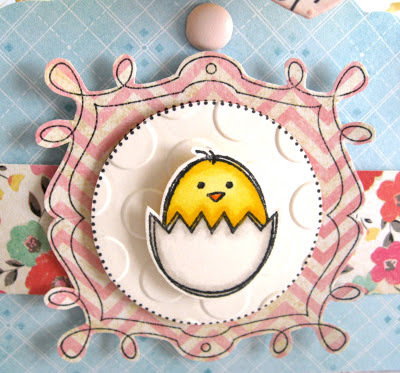 Adorable basket and beautiful card! I love your color and papers on both. Great projects. The butterfly on the card is gorgeous. Love it! Sweeeeeeeeeeeeet Easter basket to love! Darling card as well. You've been a very busy creative lady! Hope your 2013 is great so far! 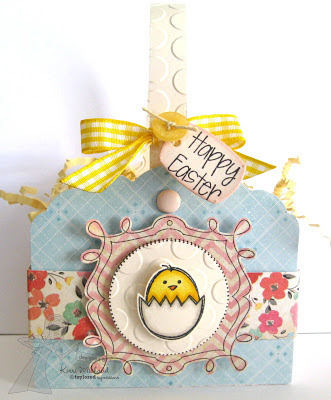 Adorable Easter basket, Kerri! The Bible Study group will love them for sure! 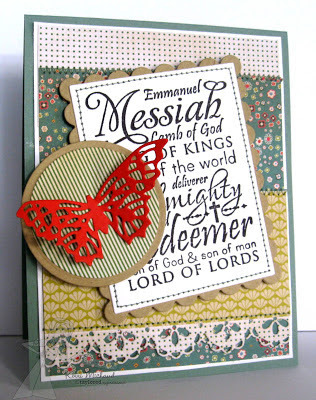 The butterfly overlay is the perfect touch for the card too! From cute to classy! Beautifully done. Hi Kerri! What wonderful projects for today! Both ends of the spectrum, and both perfect. I love that little yellow chickee!! Awesome!